In this monsoon, unpredicted rains created hurdles to these Divya Nagari slum children for their daily education. These poor slum children are not having raincoat or umbrella to cover themselves and hence get wet, compromise their health and avoid going to school. To protect their health and for their smooth education, B.K. 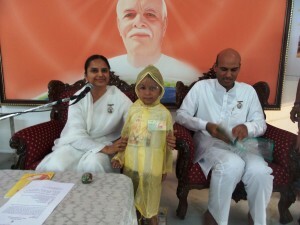 Ishitaben decided to distribute free rain coats to all the Divya Nagari children. 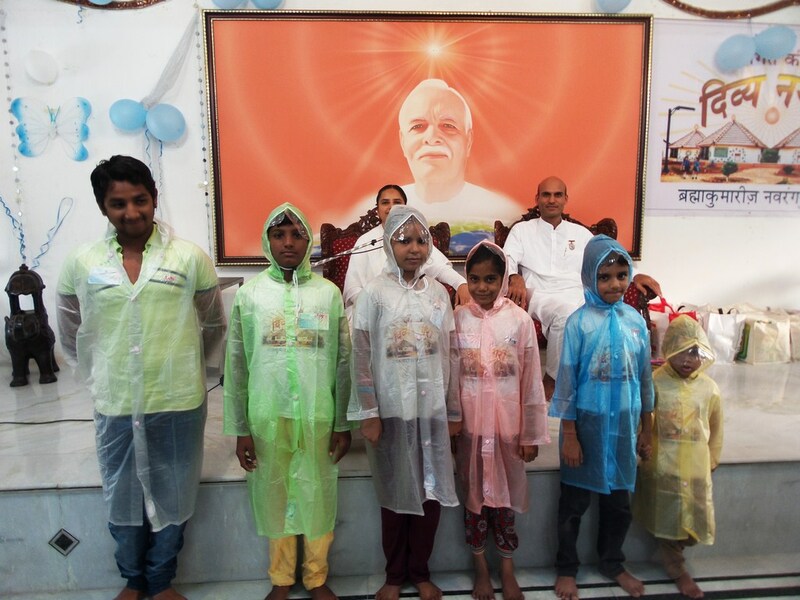 On 1st of August, after their daily classes, all the children were given different colourful rain coats. Their name were also written on it. 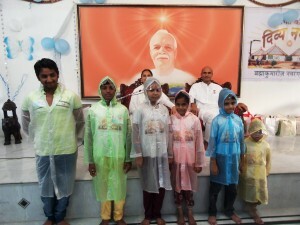 Children were very excited and happy to receive the rain coats as they would have not dream for it. 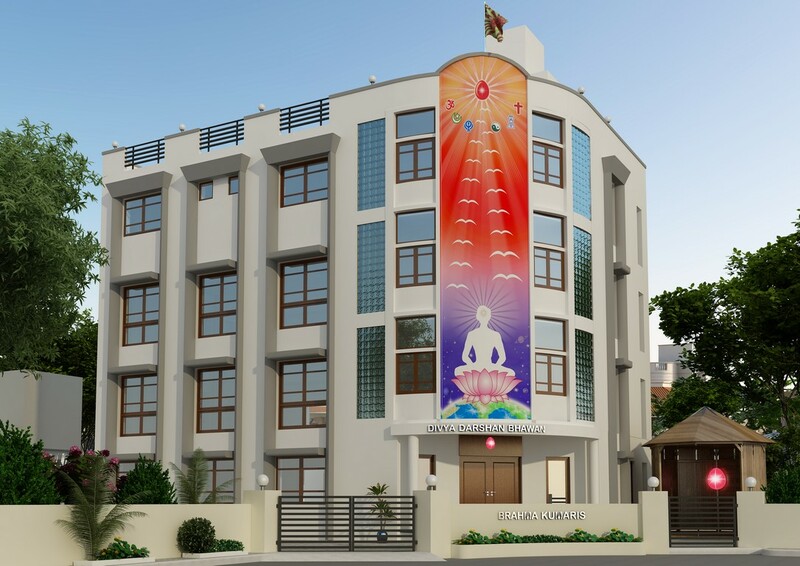 Now they will be able attend their school and evening class at Divya Darshan Bhawan even in rainy weather. B.K. CA. Lalitbhai (Accounts Department, Mount Abu) were also present during the distribution. 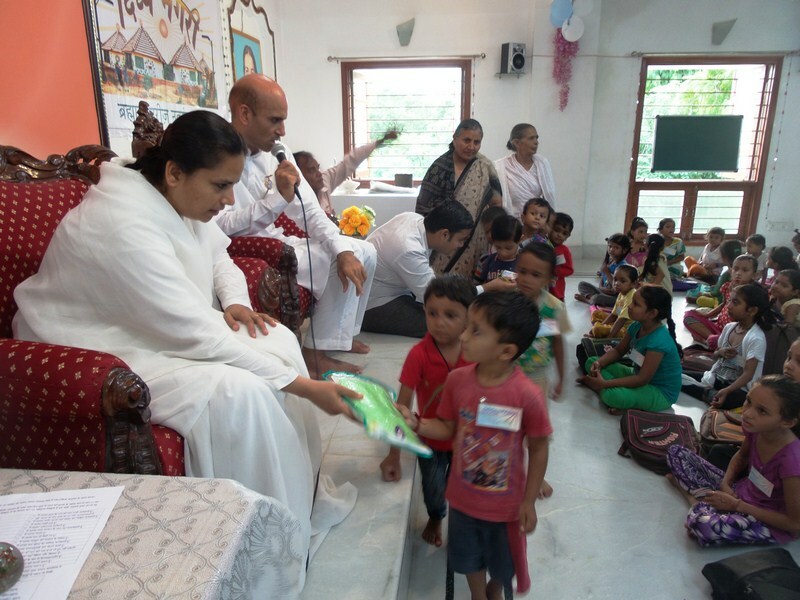 Divya Khichdi Prabhu Prasad was also offered to all the children after rain coat distribution. 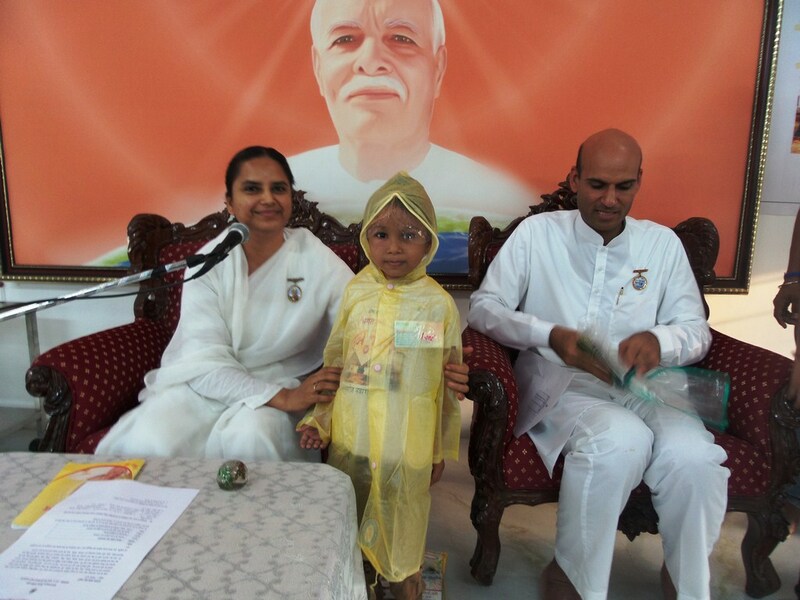 Here are some of the photographs of rain coat distribution and Divya Khichdi Prabhu Prasad.